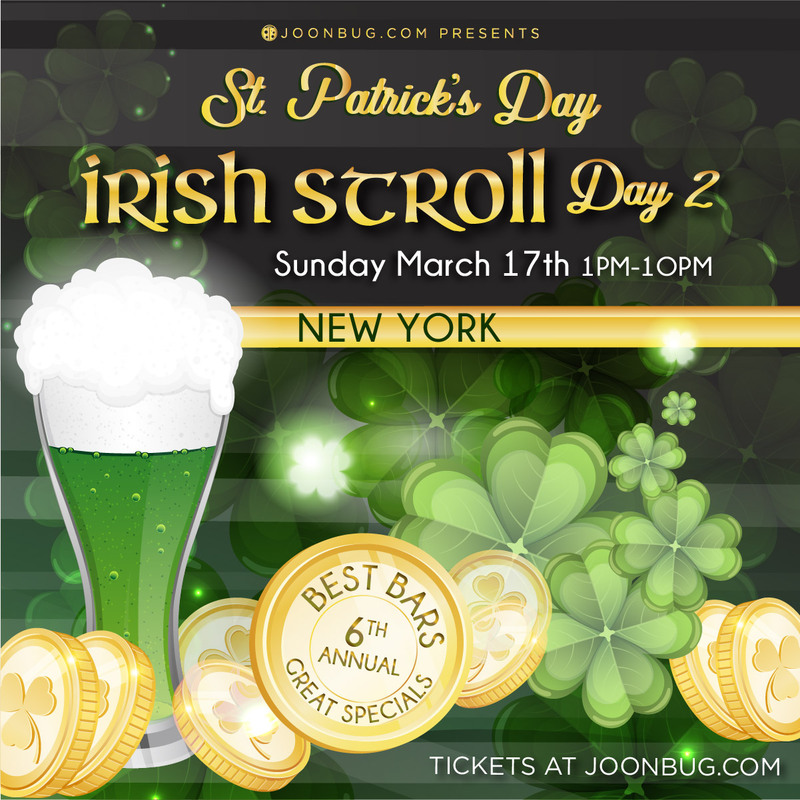 Time to get trolleyed, New York – we’re bringing back the city’s favorite St. Patrick’s Day bar crawl – the Irish Stroll. It may be the end of the weekend, but it’s just the beginning of an all-out clover extravaganza where the brew is cold and the holiday spirit is high. You and your friends will enjoy cover-free entry to dozens of NYC’s best watering holes serving up extra shots of Irish luck. There’s no shortage of drink specials on this crawl, so prepare to bar hop like never before. Get ready, because New York City’s famous Irish stroll has arrived and dressing green and drinking gold never felt this good. From 1pm to 8pm, register at the designated registration site. Grab your wristband and map detailing participating venues and get ready for a luck-filled St. Patrick’s Day! Bringing your whole crew to party? We thought so, that’s why we’re offering a discount for groups over four looking for a wee bit of fun. If you’re planning on partaking in the whole weekend of festivities, pick up a multi-day pass for non-stop celebration.